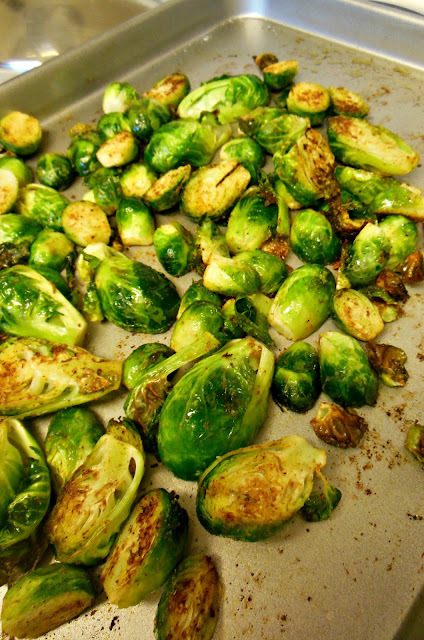 Roasted Brussels Sprouts, a new favorite - Our Sunday Cafe, the Retirement Edition! 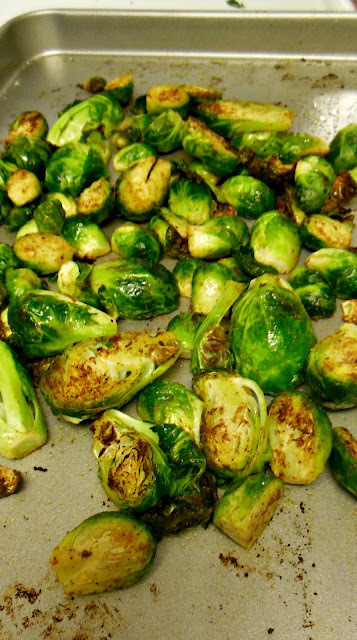 Toss the sprouts with olive oil, layer on a flat baking pan. Sprinkle with salt, pepper, and seasonings if desired. Bake 8 - 10 minutes, tossing at about the 6 minute mark. They turn out full of flavor, tender with just a bit of a crunch. Delicious! PS leftovers are wonderful tossed into a salad or make a great chunky salad on their own with some cherry tomatoes, feta cheese chunks and a simple vinaigrette. Always a crowd pleaser! If we ever had any left, I'd love to try the salad you mention with cherry tomatoes and feta cheese.